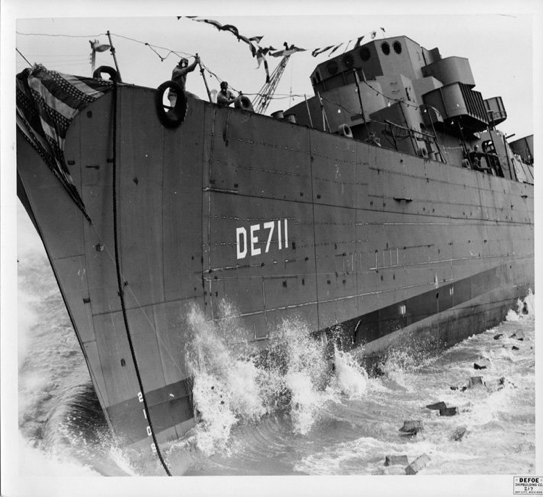 The USS Begor (APD 127) slid down the ways of deFoe Shipyards of Saginaw Michigan, May 25 1944. It was being built as a fast, shallow draft ship capable of delivering and supporting Underwater Demolition Team (UDT) personnel close to shore as part of the pre-invasion techniques that the US Navy Amphibious Forces had developed during the island warfare in the Pacific. It displaced 2,130 tons, was 306’0” in length, with a beam of 37’0” and carried a crew of 204 men to support 162 troops. Armament consisted of one 5-inch gun turret and six 40mm’s. The ship was bearing the name to honor Lt(jg) Fay Broughton Begor who had died in the South Pacific as a result combat wounds received the previous September during the landing operations at Lae, New Guinea. That is where his story ended. Fay Broughton Begor was born in 1916 and lived in the small town of Moriah, Essex County, New York. This town is in the Finger Lake region and is closer to Montreal Canada, than New York City. After college Fay entered the Medical School at McGill University in Montreal. There he obtained his MD in May of 1941 and completed his internship by August of 1942. During his studies at McGill he met and married Katherine Savage in 1940. 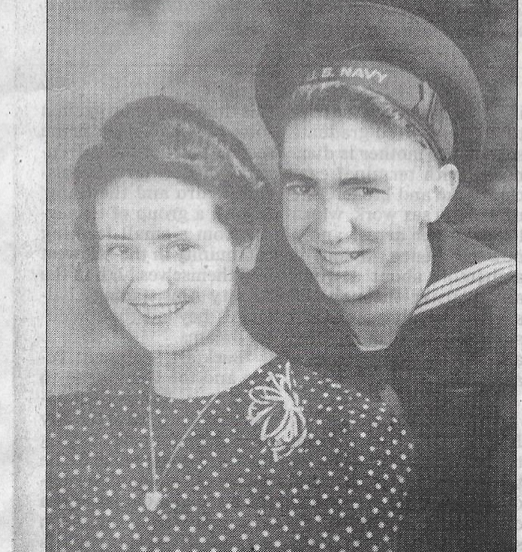 They had a daughter Anne Charlotte, born November 23 1941 two weeks before the Japanese attacked Pearl Harbor. As were most young men of his time he was swept up in the tide of war. 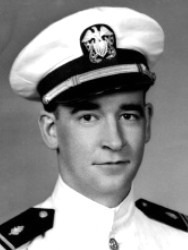 He applied for a commission in the US Navy and was appointed LT(jg) on July 22 1942. He was assigned to the New York Navy Yard as an assistant surgeon. His requests for sea duty resulted in his assignment to the Amphibious Forces at Norfolk VA in October 1942 where training was being conducted with the US Army. In his request for sea duty he wrote, “I would like to see some action” and to “use some of my professional knowledge.” His request was granted on April 1943 and he was assigned as Group Medical Officer for the Landing Craft Infantry Flotilla 7. He reported aboard the USS LCI(L) 339 on July 8 1943. Flotilla 7 had just completed successful landing operations the previous week at Kiriwina Island and Woodlark Island. These landings were intended to protect the flanks and provide air strips for coverage as part of General McArthur’s new strategy; “Hit them where they ain’t.” The first hop was Operation Postern, to eliminate the Japanese garrison at Lae on the coast of New Guinea. D-Day was September 4, 1943. Landing Craft Infantry Flotilla 7, composed of Group 19, LCI(L) 28(flotilla flagship) 25, 27, 29, 30, 226, 339, 344, and 71, and Group 20; LCI(L)’s 31, 34, 73, 338, 340, 341, 342, and 343. Flotilla 7 was assigned to land soldiers of the Australian Army 9th Division on the Huon Peninsula, east of the town. 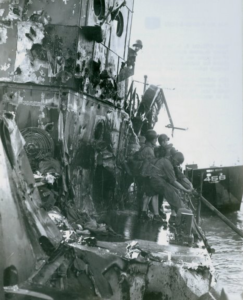 At 0705 LCI(L) 339, in the wave comprised of four LCI’s of the group, was about 150 yards from the beach after letting go of the stern anchor when they were attacked from the port side by Japanese aircraft. The bombing attack was preceded by Mitsubishi A6M (Zeros) strafing the decks of the LCI’s “riddling them with holes from bow to stern” and causing multiple casualties. The Zeros were soon followed by Mitsubishi G4M (Betty) and Aichi D3A (Val) bombers. At the time of the attack, the well deck was crowded with the Australians who were prepared to land. LT(jg) Begor went on deck immediately after the ship had been strafed to treat the many wounded. As he was giving aid the bombers arrived and released a load from around 1500 ft. The LCI(L) 339 was bracketed by the 200lb bombs; one starboard, one port, and a direct hit forward of the pilot house. The bombs caused additional casualties among Australians and the ship’s crew and the LCI(L) 339 began to list as water flooded troop compartments 1, 2 and 3. Lt(jg) Begor who wanted to see action and put his medical skills to the test, found himself right in the middle of the war. He was severely wounded in both thighs by the explosion of the bomb, but continued to treat the large number of casualties aboard. In the meantime, the captain of the LCI(L) 339 continued his approach to the beach and successfully landed the remaining troops and secured additional medical aid. The Flotilla 7 Commander H. McGee in LCI(L)28 gave permission to abandon the ship on the beach. Lt(jg) Begor was transferred to LCI(L) 338 for transport to the Army Field Hospital at Buna. He was subsequently transferred to the USS LST 464 which was converted to a hospital ship. There he died on September 9 1943. Eight of the crew were wounded in the attack were treated and released to new ships. 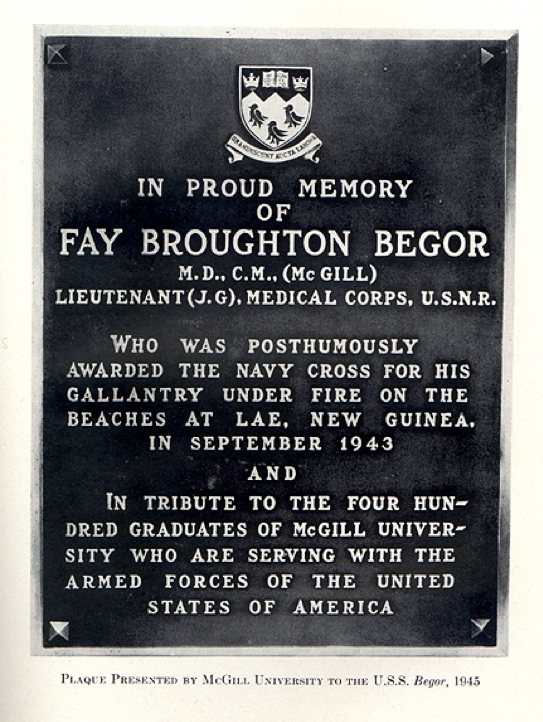 Lt(jg) Fay Begor was honored by the US Navy for his dedication to duty by awarding him the Navy Cross. Though his ship was attacked repeatedly by enemy aircraft, Lieutenant, Junior Grade, Begor courageously continued to care for the wounded in the face of enemy bombing and strafing attacks, with total disregard for his personal safety, until he was fatally wounded. Lieutenant, Junior Grade, Begor’s professional ability, courage, and inspiring devotion to duty upheld the highest traditions of the Medical Corps and the United States Naval Service. He gallantly gave his life for his country. One hundred and eighty-one days later, the USS Begor, the first ship to carry the name of a crewman of a Landing Craft Infantry, continued the fight against the Empire of Japan, and achieve final victory in WWII.